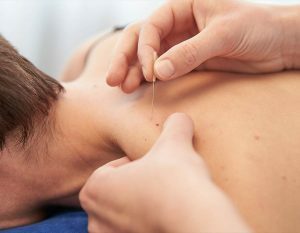 Dry needling is an evidence based treatment utilizing microfilament needles most commonly associated with acupuncture. In contrast to traditional eastern philosophies behind acupuncture therapy, dry needling is founded in westernized modern medicine with a direct treatment approach based on human anatomy and physiology. The application of tiny needles can have a large impact, and you’ll be excited to know that the treatment is safe and relatively painless. Our patients regularly report less pain, increased mobility and improved function following their treatments. Our therapists have undergone specialized training in this treatment technique to provide you the best results possible! 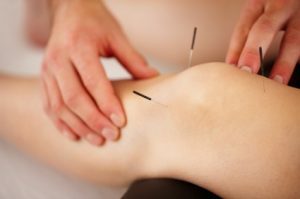 There are several measurable changes that take place in your body following a short session of dry needling. 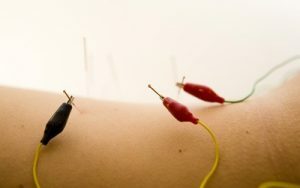 The chemicals responsible for pain, namely substance p, have been shown to decrease following a dry needling session. This means you can get some relief almost instantly with less inflammation, irritation and discomfort. Your nerves and muscles start to communicate better thanks to the neuromuscular changes associated with dry needling. You will experience a normalization of tone in the treated areas, meaning decreased tension and improved control. Needling aides in the healing of the treated areas thanks to a vasomotor response. This means more blood flow to the area encouraging the natural healing properties of your blood to the areas that really need it. 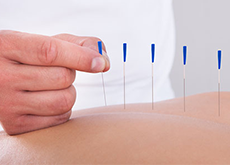 Dry needling is quickly becoming a sought after treatment option for all types of conditions.  Ask Your Therapist if Dry Needling Could Be Right For You! Fill in the appointment form or give us a call!